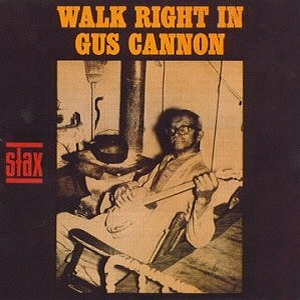 Gus Cannon, the leader of Cannon’ Jug Stompers, was a great musician and character, a central figure of the Jug Band scene in Memphis, a man who got his musical education at the beginning of the 20th century, around Clarksdale, Mississippi, home of many great Delta Blues musicians and on the road with Medicine shows. 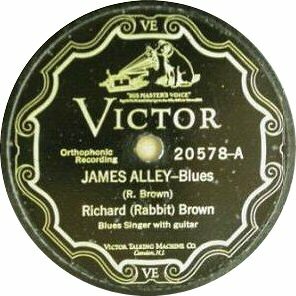 One of the rare black performer recorded on 78rpm records who played the 5-string banjo, which he taught himself to play on an instrument he made out of a frying pan and a raccoon skin, he also had a jug mounted on a rack that allowed him to blow bass figures while strumming and picking the banjo. -You can read the excellent liner notes to this lp on line here. 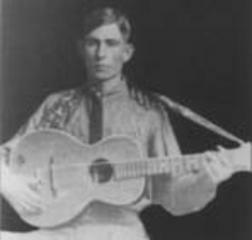 Now let’s go back in time to 1927, when Gus made his first commercial recordings. 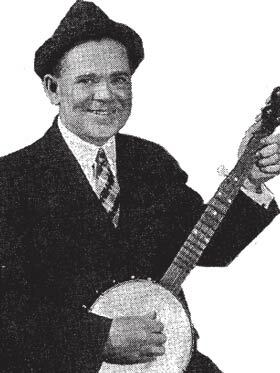 Prior to his sessions with his jug band, he recorded 6 sides under his nickname “Banjo Joe” for Paramount in 1927. 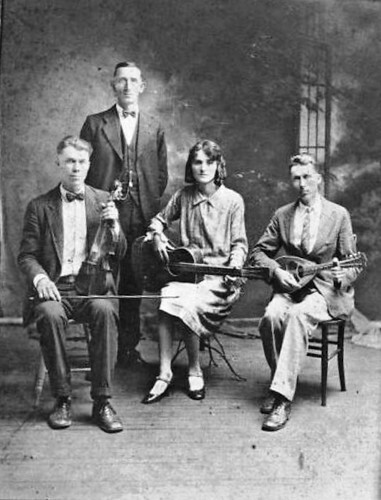 Among them was “Poor Boy, Long ways from home”, a beautiful song and a rare occasion to hear a 5-string banjo played with a bottleneck or slide. 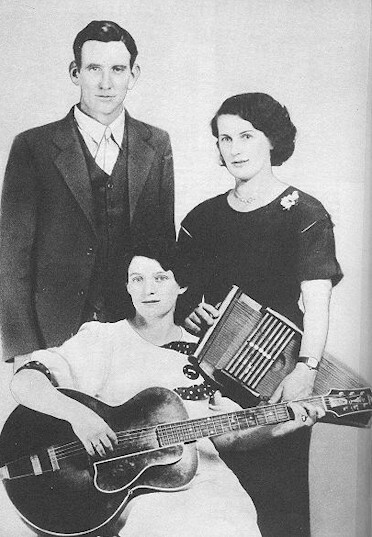 It’s worth noting that the guitar player on this 1927 sides is the great ragtime guitar player, Blind Blake. 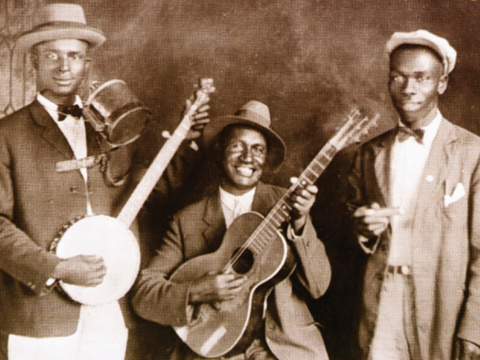 One year later,with the success of The Memphis Jug Band, he gathered some old friends and formed his own jug band. 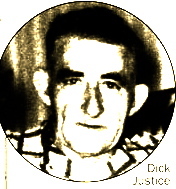 He recorded more than 30 sides with his Cannon’s Jug Stompers for Victor between 1928 and 1930. 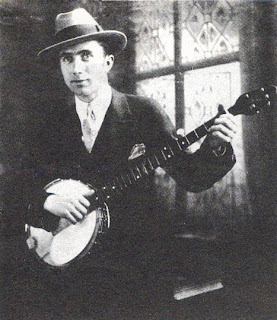 On this sides he played with the great harmonica player Noah Lewis and with various guitar players: Ashley Thompson (January 1928 session), Elijah Avery (September 1928 sessions) and Hosea Woods (1929 and 1930 sessions). 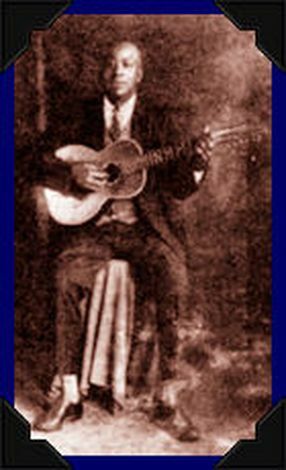 The first Cannon’s Jug Stompers piece we hear on the Anthology, “Minglewood Blues” appears on their first session on January,30, 1928 where they recorded 4 sides for Ralph Peer, A&R man of Victor Records. 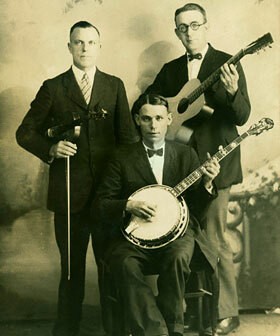 From all the Jug Bands recorded in the 1920’s and 1930’s, Cannon’s Jug Stompers had the most “Bluesy” sound, as you can hear on those sides, where the interaction between all the instruments (Banjo, jug, harmonica and guitar) and Gus vocals is superb all the way through. 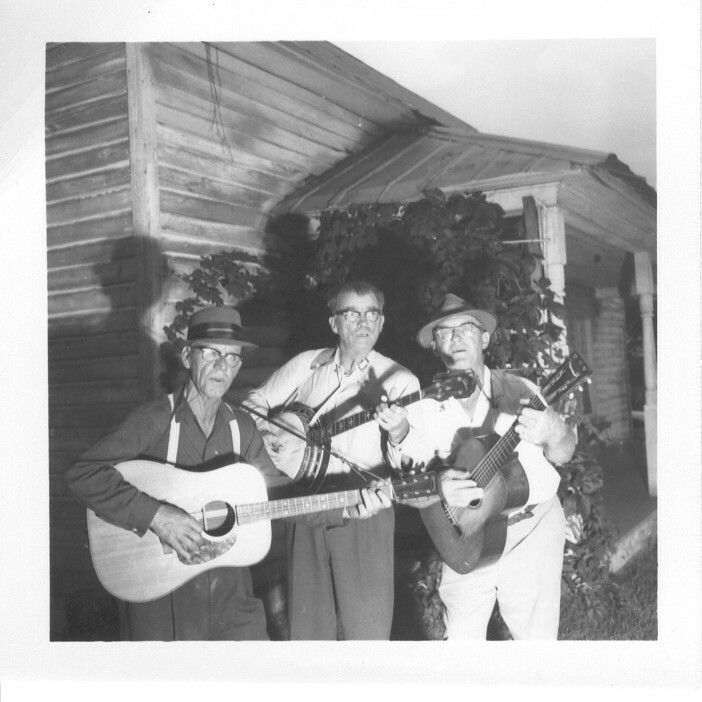 We’ll hear other sides by Cannon’s Jug Stompers on this blog when we’ll discuss another of their recording featured on the Anthology, “Feather Bed”. An Interesting Story by someone looking for the Myth! Or is it? I knew the song was written by Noah Lewis and that he was from Henning,TN, just north of Memphis. I started with a map of western Tennesse and noticed a small town about an hour north of Memphis called Menglewood. Given the proximity to Memphis and the closeness of the name I thought this would be a good place to start. 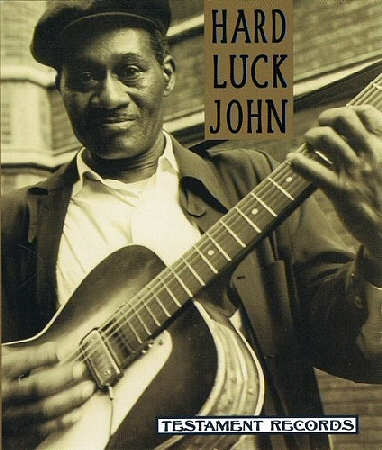 I also have found other old blues songs that refer to Menglewood (spelled with the “e” instead of the “i”), but I can’t be sure that the different is not a transcription error. 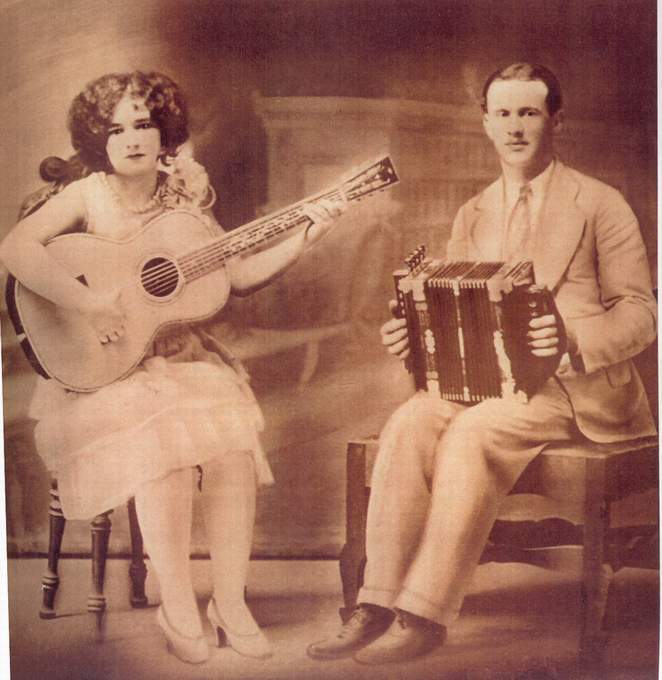 While in Memphis I found a copy of a long, out of print, book called Memphis Blues that contains a lot of information about the music of Memphis in the 1920s and 1930s. 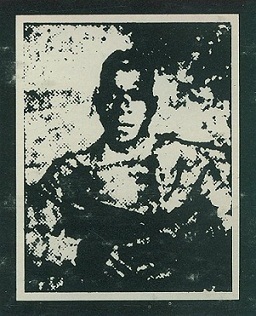 It included a chapter on Cannon’s Jug Stompers and another on Noah Lewis. Here are a couple of quotes from that book about Minglewood. So one afternoon my wife and I set out to find the Menglewood I had seen on the map. We drove north of Memphis for about an hour. We passed the location were the town was on the map without seeing any signs, so we turned back and asked some of the locals at a gas station. Turns out we had driven right through it! What we found was about 8 to 10 houses bunched together along side a rural road. We saw a woman in her yard planting flowers, so we stopped and ask her. Turns out, Menglewood is an old name for this very small community. The side road by her house used to be called Menglewood Road, but it had been changed to a route number. Menglewood itself had been merged with another nearby community and there were no signs left that refer to it as Menglewood. The locals still use the name, but it’s slowly fading away. I was really hoping for a sign to take a picture of, but none was to be found. You may ask why would you stop by Minglewood when you’re in Memphis if it was a saw-mill or a box factory? One explanation I’ve seen is that the song refers to a “good time” place near Minglewood where the workers went to drink and gamble. So, did I find Menglewood? Well, to be honest, I’m not sure. 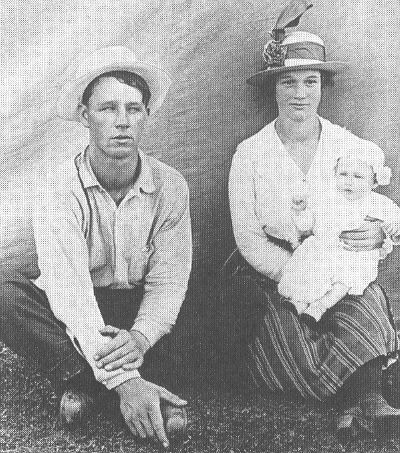 The little community that’s called Menglewood is sort of far (25 miles) from where the saw-mill was supposed to be in Ashport, especially for the 1920s. I guess I’ll just leave this one open until I get a chance to get back to Tennessee. 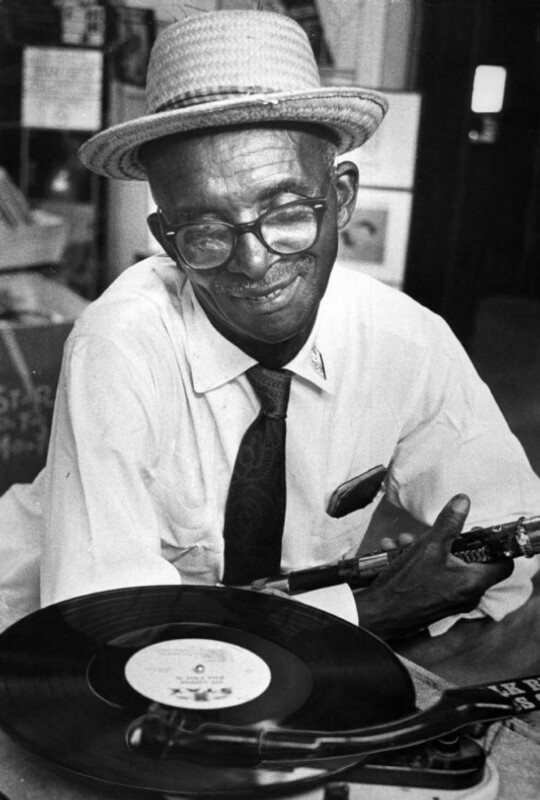 It’s Noah Lewis’s « New Minglewood Blues » that was covered a lot during the « Jug Band Revival » of the 1960’s, and The Grateful Dead’s version, which they called « New, New Minglewood Blues », was the most popular and was played ever since by a great number of rock bands. 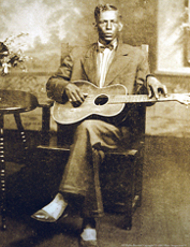 -I’ve compiled a few « Minglewoods » for you that I enjoy (I included the Dead’s version because it’s so popular but I’m not a big fan of their music, I must admit…), included a great but too short « Minglewood Blues» by Bluesman John Lee Granderson, and a « Minglewood Memories » from the last duo recording by two great american guitar players, Bob Brozman and Woody Mann. Ah, we are into RICH territory now, and I am so pleased you are still going strong! Thank you very much. What a task you’ve undertaken, and what a superb job you’ve made of it. thank you for sharing these tunes. I really love getting each new installment of this excellent project. Thank you again. 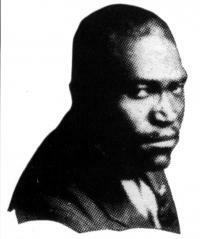 As for Gus Cannon, I am surprised at how unimpressed I am with his performances. 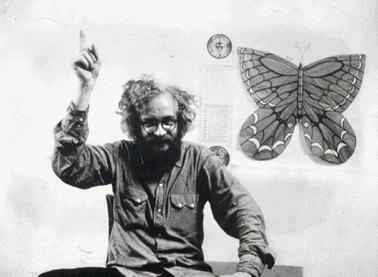 I had heard his name for years and knew he was very influential. I guess I’m just not getting it, but I think he plays very sloppily, sings poorly and doesn’t manage to follow the melody very well. Is it possible his fame is simply a result of having so many well-known songs in his repertoire? I can’t help but think his reputation is built many on his status as a pioneer, and not on his talent. Or maybe I just don’t get it. That’s always possible too, though I do enjoy most of these old recordings. Not looking to be negative. I just thought I’d throw that out there to see if I was alone in having this opinion of Gus. Thanks again for a great blog!